The Multimedia Expansion Board II (MEB II) is a highly integrated, compact and flexible development platform which works with PIC32MZ Starter Kit for a complete graphics development solution. 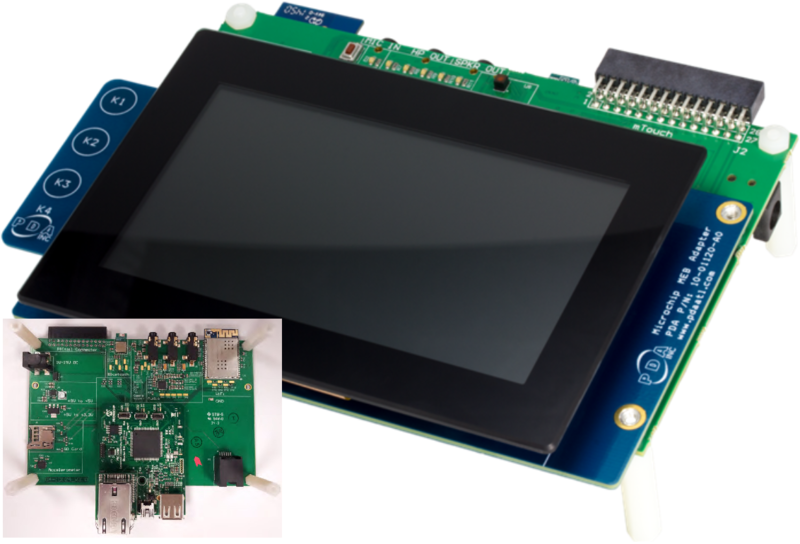 The MEB II kit features a 4.3” WQVGA maXTouch® display daughter board. The kit also has an onboard 24-bit stereo audio codec, VGA camera, 802.11 b/g wireless module, Bluetooth HCI transceiver, temperature sensor, microSD slot and analog accelerometer. 4.3” WQVGA MaxTouch display daughter board.